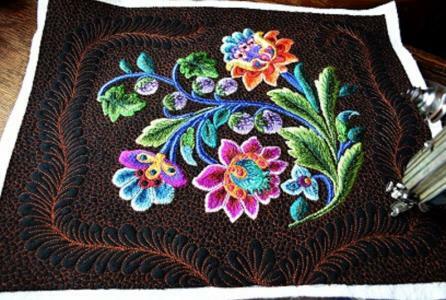 Introducing Embroidery Designs » What's Under the Needle? At Arbee Designs we are happy to announce the beginning of a whole new adventure. 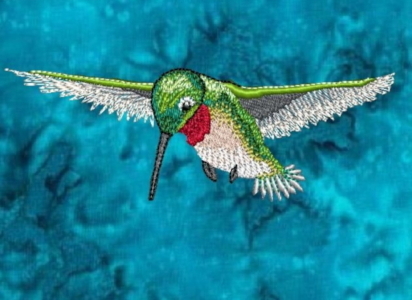 Marilyn Lee creates the most beautiful embroidery designs and we have the opportunity to provide them for all you embroiderers. We know a lot of you have been waiting for these to arrive so do feel free to share this page with others who you think would be happy to see what Marilyn has to offer.... of course, at the moment Marilyn only has a few designs so be sure to watch for updates as we hope Marilyn will be adding more soon. There are a number of different formats for each design so to stitch your favorite embroidery be sure to select the right format for your machine. Once purchased, we'll send it right to your inbox! Here are some of the designs we already have available. 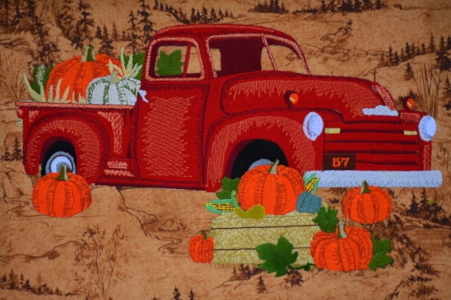 My personal favorite is the hummingbird, however, the Red Chevy seems to be a popular favorite. 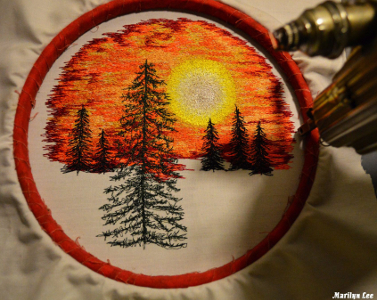 Don't have an embroidery machine? We don't all have embroidery machines but you can learn to embroider free-motion on your home sewing machine or treadle. Marilyn's online workshop will teach you how. Note: if using a standard sewing machine we recommend one with some sort of speed control. You do not want your machine to go super fast.